I blend my experience as a web developer, agency partner, and startup employee to help clients clearly define, launch, and maintain successful web and mobile projects. My approach is focused on client advocacy. I base recommendations from the standpoint of a stakeholder within my clients’ organization, and have their best interests in mind, always. I’m available for web development projects as a subcontractor or directly with clients. 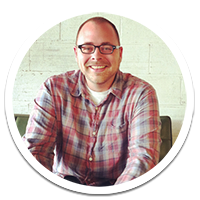 Alex is a technology consultant & freelance web developer based in Omaha, Nebraska. Read more. Interested in working together, or just meeting for a cup of coffee? Email me or give me a call / text. I enjoy talking about email marketing, distributed work culture, The Internet of Things, fun web campaigns, silly technology, WordPress, PTAs / PTOs, civic hacking, or anything else, probably. I'm on the internet! Find me on Twitter, Github, Pack, Instagram, and LinkedIn. Built with Markdown, Pelican, Jinja2, and Bootstrap and hosted on Github Pages.